Sizing: Runs small, please order one size bigger than usual! When Private John T. Callahan was recruited for the construction of the Alaska Highway in 1942 he barely didn't foresee that the 1500 miles between the USA and Alaska could have been his frosty grave. Under extreme conditions the military and civilians worked seven days a week and those who weren't protected properly were in big trouble. 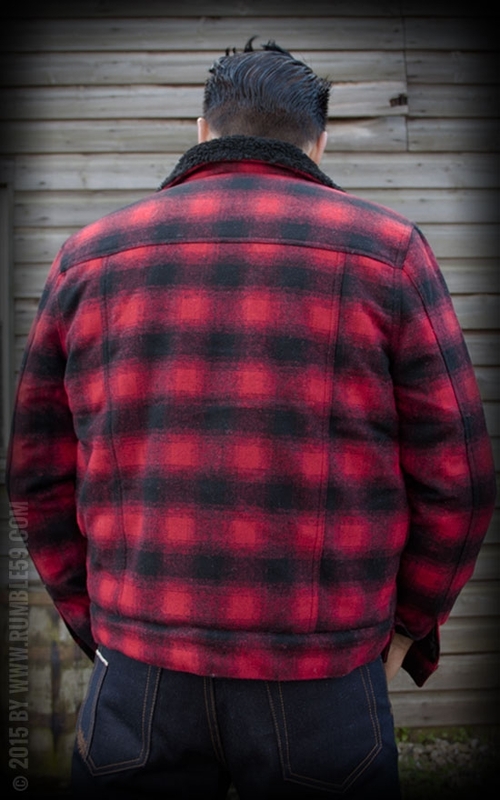 Fortunately Callahan has been one of the lucky ones who had the right jacket that kept him warm during the unforgiving Alaska Winter 1942: His jacket "Toronto". 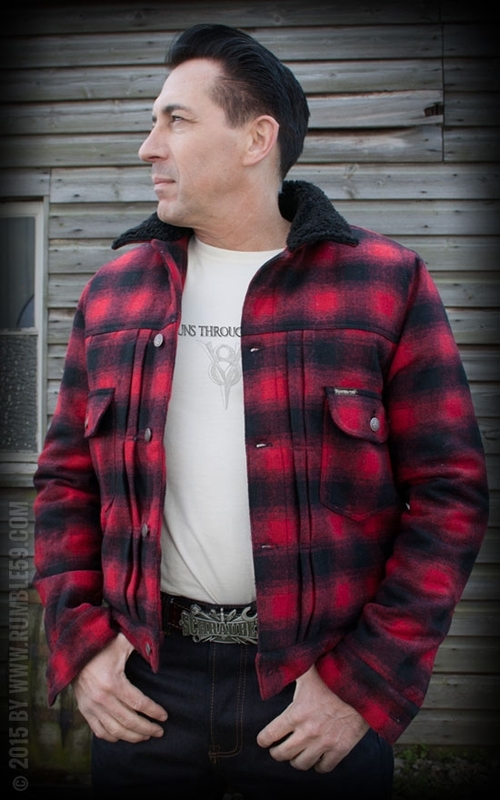 Our new Rumble59 Jacket "Toronto" looks great because of the two-coloured check design, the high-class workmanship and the extra thick teddy-bear cloth. 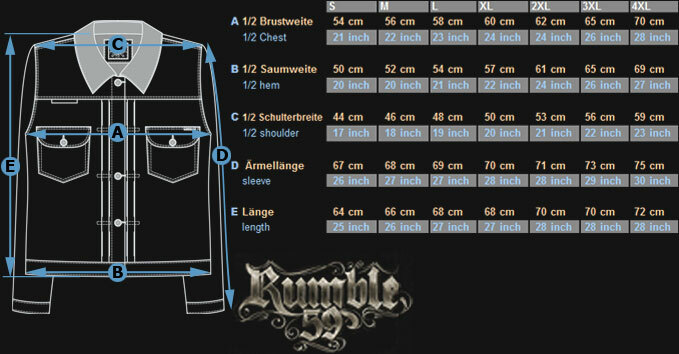 The pattern of this jacket is based on the new and authentic shape of our Rumble59 Denim Jacket. 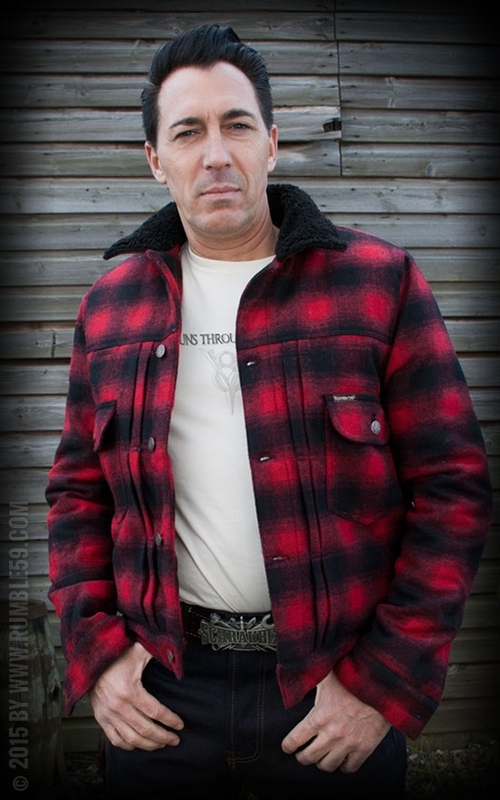 The jacket "Toronto" is made from high-class check fabric and lined with soft teddy-bear cloth. 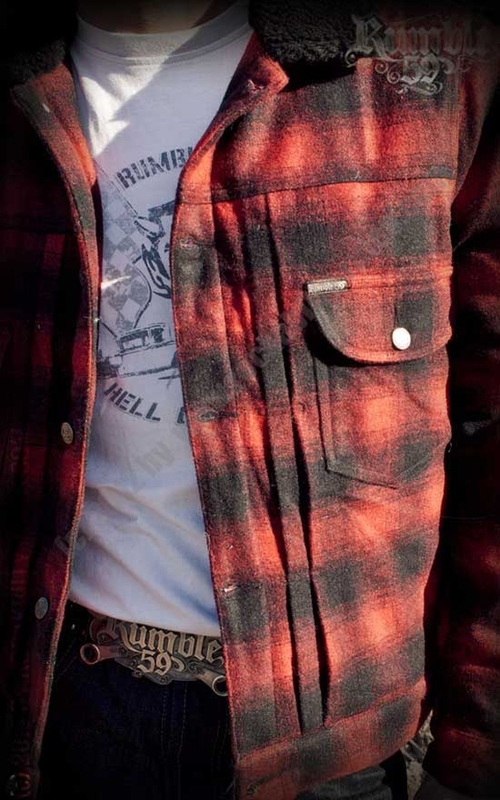 The two big pockets on front, the sideway pockets as well as the inner pocket and a small weltpocket underneath of yoke at right side give enough storage space. 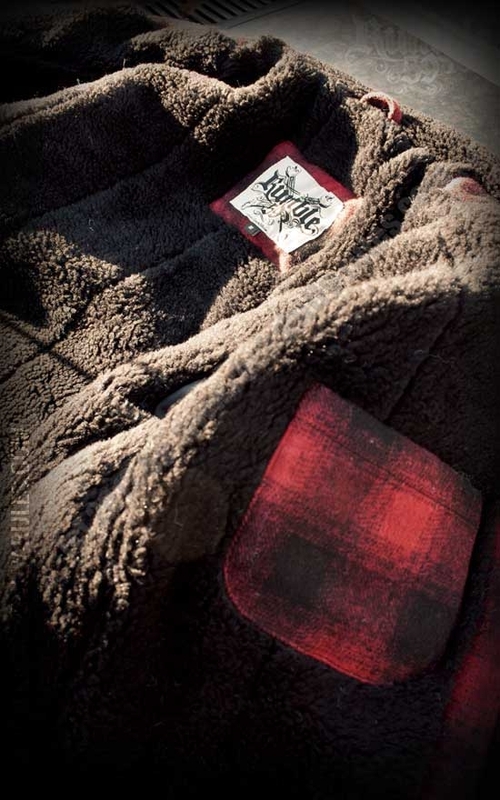 The densley woven wool fabric as well as the extra thick lining doesn't only protect John T. Callahan from the coldest days of the year. 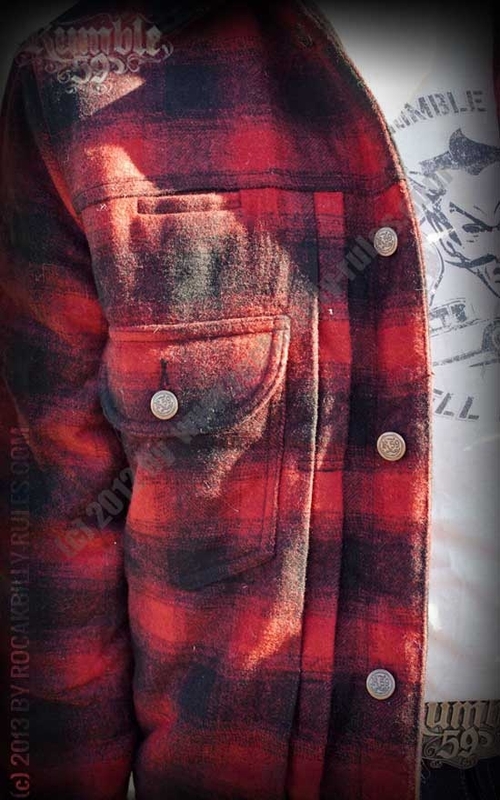 Be prepared for a new kind of rockin‘ jacket!